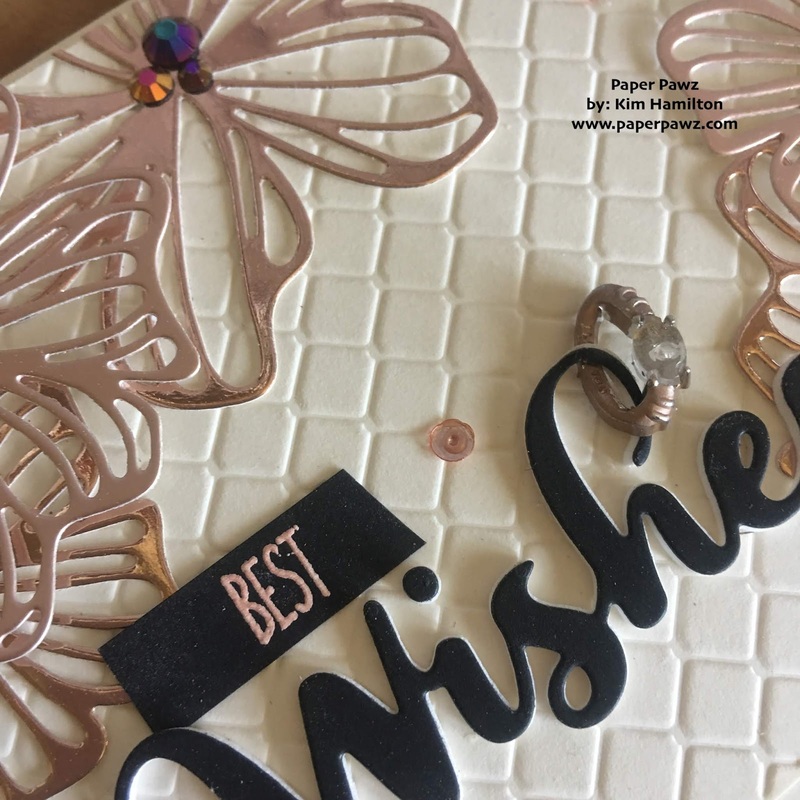 Paper Pawz: Simon Says: Anniversary/Wedding! Happy Wednesday! 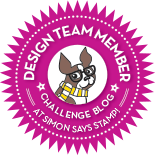 That means it's time for a new Simon Says Stamp Wednesday Challenge! 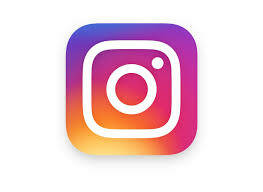 This week the challenge is Anniversary/Wedding and the design team is featuring Impression Obsession products! I chose the beautiful Impression Obsession Abtract Flowers dies for my project. I just love the shape and design of these dies. 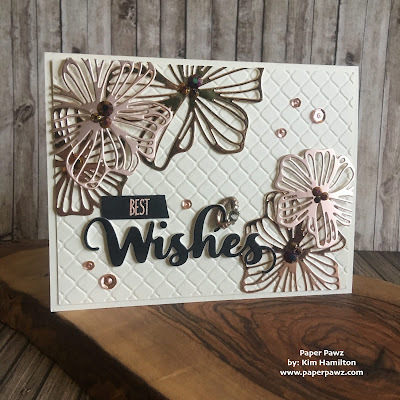 I used Tonic Specialty Paper in Rose Platinum and Burnished Rose for the flowers. I then decided to use the Lawn Fawn Vanilla Malt card stock for my card base and top panel. I embossed the top panel and glued my flowers. I then used the Impression Obsession Wishes die with Lawn Fawn Black Licorice card stock and fun foam for dimension. 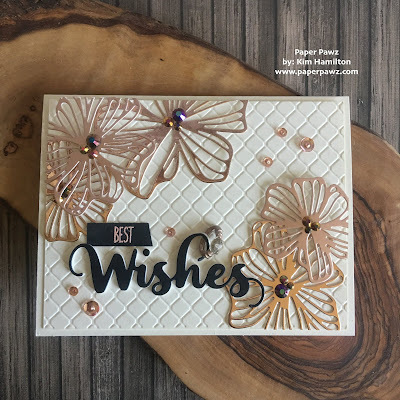 I used Rose Gold embossing powder for the Best sentiment which is from an Avery Elle set. 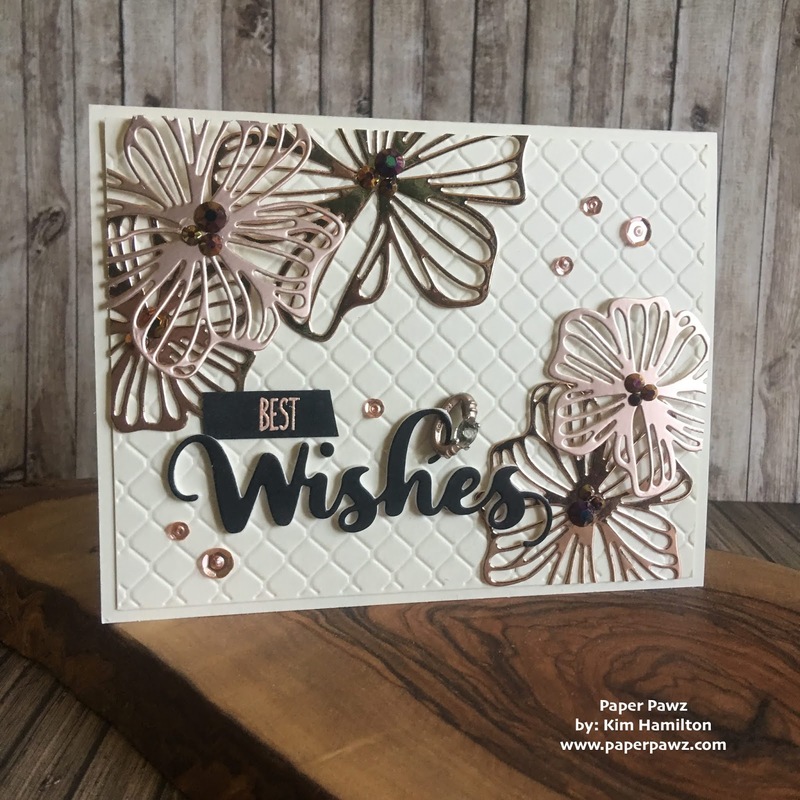 I added some Pretty Pink Posh Rose Gold Jewels to the flower centres and some PPP Rose Gold sequins on the card panel. Once I was finished I added the "diamond ring" that was in my stash, it was silver so I colored over it with a Rose Gold marker to match. Quick and easy project as the only stamping was the smaller sentiment! 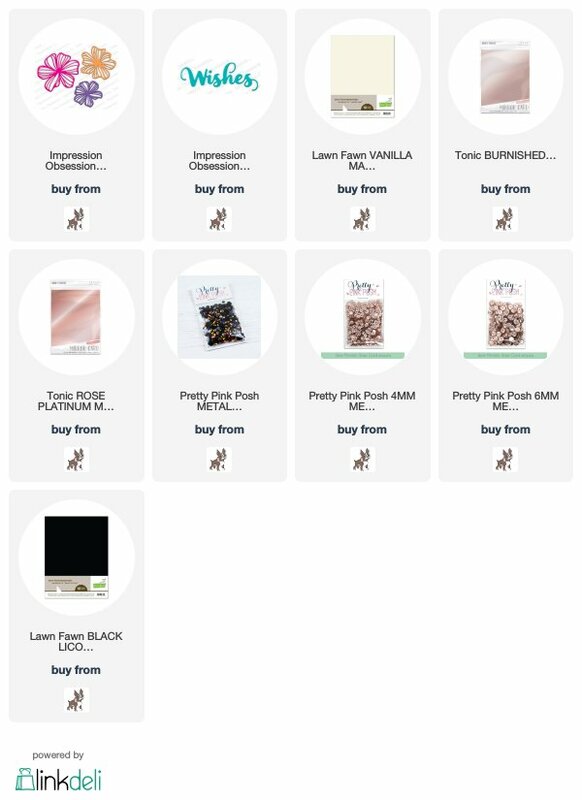 All of the products used can be found at Simon Says Stamp all listed and linked below!